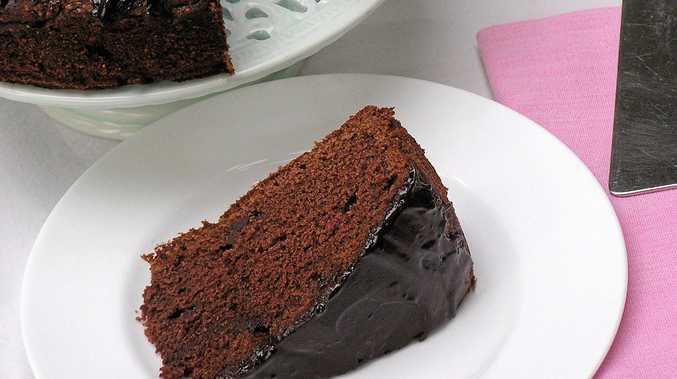 Try out this scrumptious cake for yourself. YOU either love chokos or you hate them. They're a funny fruit. Mostly water, they taste of not much at all, really. My ex-husband used to say chokos taste like butter and pepper. Duh. I always thought they tasted like cheese sauce. It comes down to how your mum served them when you were a kid. Native to Mexico, chokos are full of folate, fibre, manganese and vitamin C. The whole plant is edible, including the vine stalk and seeds, and the leaves can be made into a tea. Here is a recipe I devised some years ago when I had a bumper crop. The cake is dense and moist, and stays that way for a while. INGREDIENTS: 185g unsalted butter (divided) at room temperature 1 1/4 cups sugar 2 large free-range eggs 1 tsp vanilla essence 1/2 cup milk 2 1/2 cups plain flour 4 tbs cocoa powder 1 tsp bicarb soda 1/2 tsp cinammon 1/2 tsp salt 2 large chokos, peeled, seeded and grated (about 2 cups - you can use zucchini if there are no chokos available) 125g dark chocolate 1 tbs milk 1 tbs golden syrup. METHOD: Preheat oven to 160C. Grease a 23cm springform cake tin, and line the base with baking paper. Cream 125g of the butter and half the sugar together until pale and fluffy. Beat in eggs and remaining sugar. Add milk and vanilla, then gradually beat in sifted dry ingredients. Add grated choko and mix through. Pour into tin and bake for 50-55 minutes, until cake sides shrink away from the tin, or a skewer comes out clean. If cake begins to crack too much on top, lightly cover with a piece of foil for the last 15 minutes of cooking. Cool in tin for 5 minutes, then release the sides of the tin and turn out onto a wire rack to cool. Glaze: Melt remaining butter and the chocolate over a pan of simmering water. Stir until smooth, then mix in milk and golden syrup. Spread on cooled cake and leave to set.